I was looking for a recipe for Carrot Muffins because I wanted something really healthy to snack on instead of bread with jam or bread with honey. Also my naturopath put me on an Alkaline diet so wanted something that would be very alkaline. 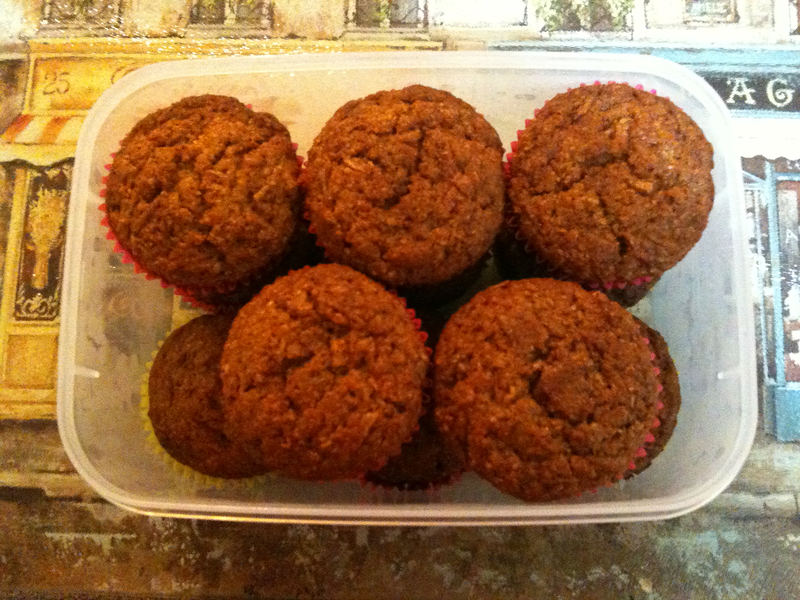 I came across this recipe for carrot muffins but have altered it a bit. The taste is very wholesome, fresh and delicious. It's like something you would eat on a farm out in the field with the green grass blowing and cows mooing! If you want Spicy Carrot Muffins add a teaspoon of Mixed Spice for that added spiced flavour. 1. Preheat oven to 180°C. Place patty cases in a 12 cupcake tin. 2. Peel and grate the carrots, and set aside. Sift the flours and cinnamon into a large bowl. 3. Put the raw sugar, oil, honey, eggs and vanilla in a separate bowl. Use a balloon whisk to mix until combined. Stir in the grated carrot. 4. Pour the carrot mixture into the dry ingredients. Use a wooden spoon to stir gently until just combined. 5. Pour the mixture into the pan and bake for 30 min. Set aside for 5 minutes, before turning out onto a wire rack to cool.